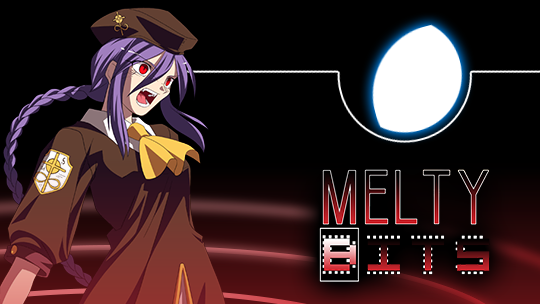 Low technical requirement, combos and neutral are almost entirely based on versatile normals and command normals. 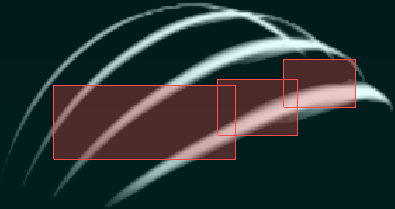 Combos can get the opponent to the corner from almost anywhere, where a throw can lead to a damaging combo. Fearsome ground overhead with summons serving as backup. No good defensive options under pressure besides universal half moon techniques. 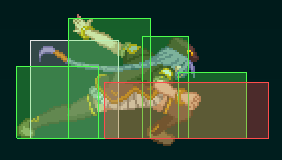 Quick summery: Use j.C and 6B\6[B] to make the opponent consider staying on the ground, where you can surprise them with a quick 5A after a ground dash or j.B after an airdash (preferably with momentum gained with a quick ground dash done just before) and begin your offense. *j.C: Her go-to air to air normal. Comes out fairly quick and covers a wide angle. *j.B: Good air to ground normal, can cross-up easily. Can chain to j.C in the corner for a stronger combo start in case of a hit. 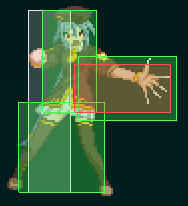 *5A: A quick jab with great hitbox to start your offense after closing in the right amount, can also easily catch opponents slightly above you if you proceed with 5B and an air combo. It’s just awesome. 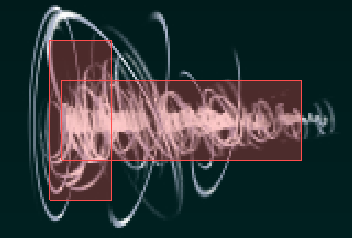 *6B/6[B]: Shoots some white spiraly thingy out of her hand. Covers space in front of her for quite a few active frames and recovers quickly. The charged version takes a bit longer to come out but covers a much wider area. Use this to catch descending foes and annoy them after they air tech. 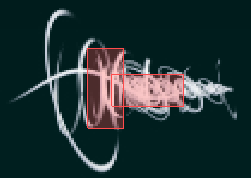 Notice that while it usually does 3 hits, if you time it so that they’ll be hit by the last few frames of the attack it will only hit once and allow you to continue with a combo in case of a counter hit. Same goes for a trade. Cancable to a super move (623C would be the appropriate one) on hit and Interestingly, even on whiff. *j. 2B/ j. 2[B]: Dive kick! 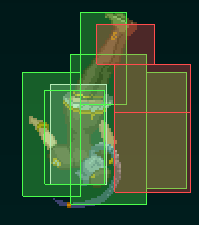 It’s actually not that amazing, you have to hit near the feet area to actually be able to start a combo off of it on hit or not be at a frame disadvantage on block, and it does not hit high. Still, a very useful tool to have, it can be used to quickly descend to the ground and surprise your yet in the air opponent with a grounded anti air move, and is good for closing in on an opponent whiffing a special move while you’re in the air. 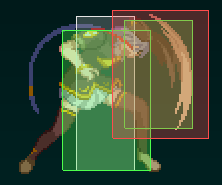 Charged version just favors you a bit more frame-wise after a hit/block but all notes still apply. *You should use 2A+B when in the air in case you need to reposition in the direction of the enemy, or just to float a bit more and change the dive’s timing. *2A: Well, standard low kick. Nothing special but you’ll need it if you want to start your offense with a quick low hitting move. *2C: Your longest range normal, hits low. Reverse-beat to 2A on block to cancel the long recovery. 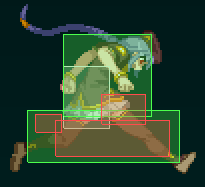 You should also use it to catch floating enemies after an aerial counter hit and follow with 5C 3C -> air combo. 5A 5B serves as a weaker alternative but is easier to time in situations where the opponent is far and you have to dash first. 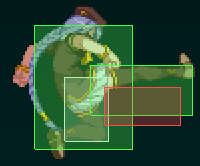 *5B: Quick anti air normal for when you anticipate someone airdashing on you, jump cancel to an air combo in case of a hit. *j.A: Mostly for when j.C or j.B won’t come out in time, spam for continues blockstun or chain to another aerial normal on block. Does not hit overhead. 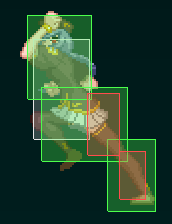 *214C: Summons Akiha, she walks forwards a bit and does a kick which wall-slams. Opponents often have the tendency to jump to the air where she cannot bother them, anticipate this and try to catch them off guard, air throwing would be a nice solution. 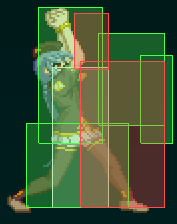 Akiha also blocks the opponent’s movement and can destroy traps or eat projectiles for you. *6[C]: Use sparingly when anticipating a jump or after the opponent air techs, and proceed with a combo after the bounce. It is risky though, while it hits high and is plus on block it can be easily shielded on reaction. 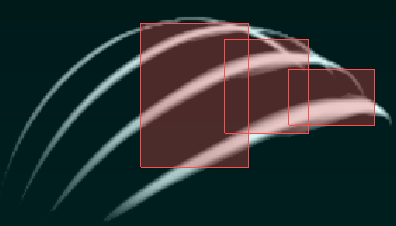 *623A: Has a high horizontal hitbox and upper body invincibility. Your solution for when opponents are directly above you. No combo-ability unless it is a counter hit. *236A: Has longer reach than your normals and comes out quick, making it a valid tool when it’s low damage is just enough to finish an opponent off or to punish certain moves. Like most of the cast in this fast paced game, offense is where H V-Sion shines. You have many different ways to mix-up your attacks mid chain, and many ways to reset your offence and keep the pressure. Summons will help you with your okizeme, always use them after a knockdown. 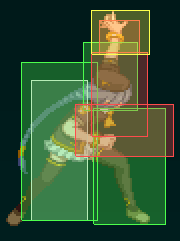 In case of a hit, follow up with: A 6C -> dash -> 6C 2C 5C 3C j.B j.C -> jump cancel -> j.B j.C into an air throw. It has amazing corner carry and nice damage. You may want to take a look at the “Practical Combos” videos linked above for more advanced and situation specific followups. *6C which serves as a not so easy to react to overhead, and leads into the same delicious combo described above on hit. While it’s disadvantageous on block, it’s fairly safe. *2C which hits low, followed by either 3C and an air combo or a 214C\214B summon (a bit risky). 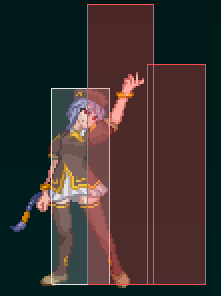 *2B neutral on block, an opportunity to reset pressure. Can be charged for even more advantage and a major hit to the opponent’s guard bar. *It’s absolutely important to include delays in your chain to catch mashers and jumpers! Even this basic chain with these handful of follow ups can get you pretty far if you can vary the rhythm. *Dash – > throw. 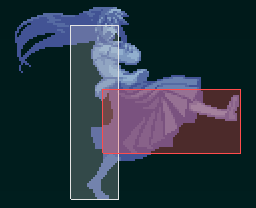 Near the corner her throw allows her to catch her opponent with 2C 5C 3C and continue with an air combo for relatively nice damage! A useful mixup tool to have near the corner. *For both types, you should end with a super move when in heat mode or when the extra bit of damage can finish your opponent off, otherwise it’s mostly a waste of meter. 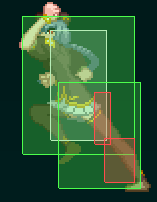 *Ending an air combo near the corner with an air throw, you can use j. 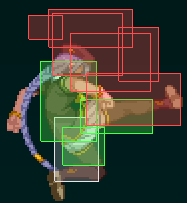 2B to catch neutral techs and whiff j.C to land quickly and heavily punish forward techs with a combo starting with 2a. *When ending with j. 236C just use 5C as soon as you land. If you time it right it should catch both types of techs and even OTG them if they don’t tech for an extra bit of damage. 5C in general is a good move to catch techs, be it after 214D, burst or whatever. *Ending a ground combo with 2C or 623C, always use 214C/214B (summon) afterwards! The summon lets you try risky mixups and serves as your backup in case they fail. As they wake up, you should mix 2A spam, 6C and throws. Again, varying your timing is key since on successful shield your opponent is also immune to your summon’s attacks. *ARC-DRIVE: This command grab can strengthen your okizeme even more, it has invincible startup and an Akiha summon can still hit while it’s active to add more damage! Plus, it heals you for a bit so you can make that regular victory a perfect again 😛 Just don’t be predictable by using it every time you can. *Air throw: When pushed against the corner with a summon and yourself in front, it could be tempting to try and jump out of this position. Read your opponent and catch him in the air as he leaves the ground. *j. 2B spam: Can be used to mess with your opponent after wake up. Just repeatedly jumping and dive-kicking a few times in a row can cause him to do something stupid and get counter hit. *236A: A way to extend your chain at the cost of ending your momentum. say your opponent is on the verge of death and you are Slowly chaining your hit’s on him, delaying every hit to catch him mashing or trying to jump away. He patiently blocks through the whole chain until you’ve been moved away from him and use 2C. Then, just when he thinks you’re done, you follow up with that one seldom used move when he let his guard down. Match won. *236C: Can be used during HEAT to reset mid chain as it gives nice frame advantage. Otherwise, probably a waste. *214A: An alternative follow up to 2C. If 2C hits, it can OTG and you can follow up with 6[C] for a bounce and a knockdown/air combo ender. When blocked the opponent might think you’re trying to set up 214B or 214C and may attempt to do something instead of block, only to find out this summon attacks much earlier. If spaced correctly it should leave you at a slight frame advantage even when blocked. *623C: Can be used as an ender to a ground combo if you have meter to spend (meaning during HEAT mode). Grants extra damage, and good knockdown to set up a summon. *Rising j.C: With it’s wide angle it’s good against various types of aerial approaches given you have enough time to jump and have it come out. *5B: Good solution against air dash resets. *214D: Good use of meter when locked in block state by some spell or summon, especially during HEAT when you don’t have much to lose anyway, as staying there blocking won’t do you any good. Safe if blocked. *623A: Has upper body invincibility, you can use it as a reversal if you think you’re confident you’re gonna get attacked from the air just as you get up, given there’s nothing else to interrupt you like an orb or a summon. 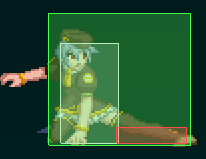 *623C: While fairly slow, punishable on block, and can be shielded on reaction, it’s her only valid invincible reversal. As risky as it is, on hit it causes good damage on it’s own and is really a momentum changer, granting knockdown with enough time to setup a summon. Might be wise to use during HEAT so that you have the H-moon auto-burst to back you up. *Rising air throw: Can be used in a defensive manner like rising j.C. Comes out faster but you have to match the heights of your characters above the ground or else you’ll miss the throw and be prone to counter hits. *2D/5D: Use when anticipating a meaty on wakeup or a in response to a highly telegraphed attack. 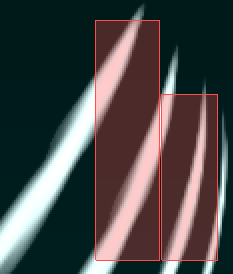 Due to the harsh damage scaling after using shield you should follow up with a combo ending with a knockdown. Remember to use 214B/214C afterwards to support your okizeme. *Her backdash can be used to evade some stuff, but is generally fairly slow. When trying to back out, jump back -> air dash backwards ->2A+B should create some distance.